Thanks to? Not sure, but thanks! I think I've mentioned before that my first degree specialised in childrens' literature. My love of reading started early and hasn't stopped. My reading choices haven't changed, they have just widened and I don't see why boundaries of reading material need to be dictated by age. Having children that love books also made it easy to get into new writers and each sprog has introduced me to new authors. They're getting older now though and so I'm the first in the house to have read all 7 of the books in this set. Not that you need to have read the books to be familiar with the stories of course. Billionaire Boy, The Boy in the Dress, Gangsta Granny and Mr Stink have all been made into film adaptations with Ratburger to follow this Christmas. If you've seen any of those then you'll be familiar with the style - David Walliams' books are very stupid, very British and very, very funny. Like many famous books, the heroes of these books are mostly outsiders who are shunned by other children for something that is harmless and beyond their control. Each book focuses on a brave child overcoming the odds to beat the baddies and each book overcomes prejudice. The boy in the dress becomes the footballing hero despite enjoying female fashions; billionaire boy eventually has friends because of who he is, not what he's worth; Ben's granny shows that old ladies aren't boring; Chloe is bullied and is the loneliest girl in the world until she meets Mr Stink, who has his own story of prejudice to tell. 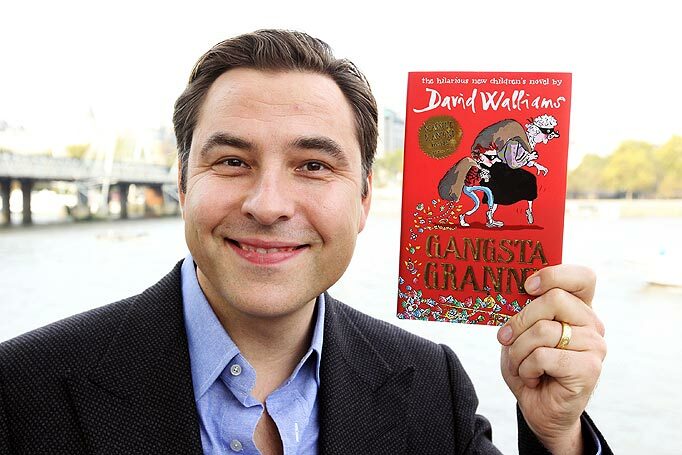 Walliams is the heir to the Roald Dahl throne. There is very little to tell between styles and themes (the description above could apply to any of Dahl's books too) and even the illustrations continue the similarity - Quentin Blake and Tony Ross providing the illustrations to these books, you can't get more heavyweight illustrators than that. Dahl's canon was always too short in my mind, so to have someone take that mantle and continue running pleases me. Where Walliams differs just slightly is his willingness to put true sadness and tragedy into some of the stories, and when I say tragedy I mean true heartbreaking tragedy. While the baddies never win, the hero's victory sometimes comes at a price. There is an astonishing depth to each book and often I need to flick back through to remind myself of the breadth of storyline that has been covered in about 2 hours worth of reading. Walliams is a man of many talents. Whilst his sketch comedy did start to wear thin with me he soon scotched any negative vibes by raising ridiculous amounts of money for charity by completing astonishing feats, then he becomes a genuinely supportive and amusing judge on BGT and still churns out these books.I hope he churns out many more, and my library and bookshop can continue wondering who I'm getting them for when I'm still reading them in 20 years time.